Edward Kapu?cik was born in 1938 in Racib?rz, Poland. He studied physics at the Jagiellonian University in Krak?w from 1956 to 1961. 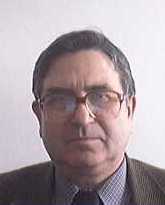 Since 1961 he has worked at the Henryk Niewodnicza?ski Institute of Nuclear Physics in Krak?w, where he was appointed to a Professorship in 1988. From 1986 to 1989 he served as Deputy Director of the Laboratory of Theoretical Physics of the Joint Institute of Nuclear Research in Dubna. In 1991 he was Visiting Professor at Georgia State University in Athens, Georgia. From 1992 to 1998 he was a professor at the Krak?w Pedagogical University. At present he is an Ordinary Professor in the Physics Department at the University of ??d?. His research focuses on foundations of quantum physics, electrodynamics and special and general relativity. He has authored more than 90 original scientific papers. sfkapusc@cyf-kr.edu.pl inoperable as of 10/08.